Fourteen IP attends the Hilton Global IT Directors Conference. The Fourteen IP team recently attended the Hilton Global IT Directors Conference at the Hilton New Orleans Riverside Hotel. This unique event, which was run over four days, brought together 125 Hilton IT Directors from around the globe to discuss the integration of the hotel group’s diverse technologies. Fourteen IP were one of 40 service providers invited to showcase their hospitality technology solutions and to network with the Hilton IT Directors. Once again there was keen interest in our Evolution Voice hosted hotel telephony solution and associated services. 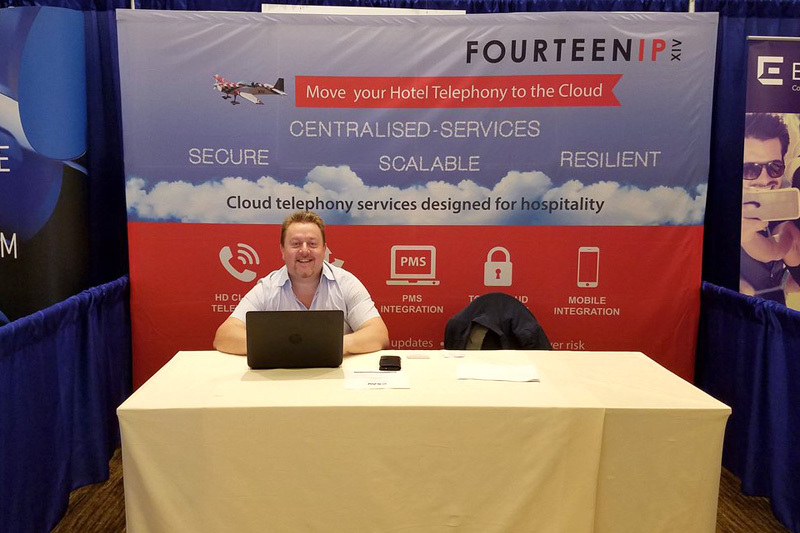 Click here to find out more about our Evolution Voice cloud telephony service for hotels. HITEC Toronto Axe Throwing and Lots of Meetings!